Baek Shi-Yoon is an ex-secret agent and a well-trained human weapon. Hiding his past, he buys the bar "Neighborhood" and runs it is as the owner. He gets close to the neighborhood regulars at his bar and sympathizes with their pain. 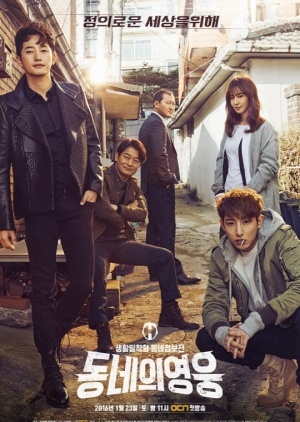 Shi-Yoon then meets a young man who works as a temporary employee, but who wants to become a police officer. Shi-Yoon trains him as a secret agent and they fight together against evil.